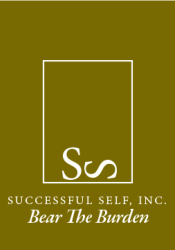 You have reached the online home of Successful Self, Inc. Here you will find information on our 36 week curriculum based on the 8 step Eco-Map. Feel free to contact us for more information. ​Successful Self (STRNGTH) is a 36 week Curriculum based on the 8 Step Eco Map. A process designed to crucify and bury unproductive beliefs, values, skills and habits in order to resurrect newness of life. STRNGTH: Successful Tools for Residential Non-Governmental Transitional Housing is geared toward the at risk, incarcerated, and former prisoner for re-entry into society. The book can be purchased directly from TEAM PUBLICATIONS, LLC. Drop by our office at 4310 Ryan St; Ste. 134, Lake Charles, LA 70605. Call us at: 337-474-2210 or use the form on our Contact Page.